—the actual growth rate was a whopping 72.1%. 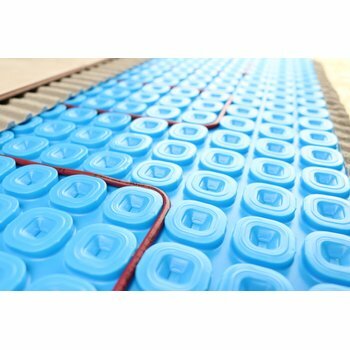 Floor Heating Trend: It’s not just for bathrooms and kitchens anymore. In 2017, we heated 19.7% more living rooms than the prior year. In the last quarter of 2017, there was a noticeable ebb and flow of home sale activity nationally. In November, sales rates for existing homes soared to 5.6%, which was 3.8% higher than the year before and the highest level in more than a decade (December 2006). Lawrence Yun, chief economist for the National Association of Realtors (NAR) attributed this surge to a variety of factors in November, including a relative flexibility of supply in the higher priced brackets of the housing market. This upswing in home sales did not continue in December 2017, when the sales rate dropped 3.8% from the previous month. However, total sales of single family units were 1.1% higher in 2017 than the previous year. Yun identified that the overall growth in home sales was in spite of a low level of inventory that plagued the housing market throughout the year. There are essentially only two possible sources of alleviation for the issue of low inventory in the housing market—a decrease in demand or an increase in supply. With 148,000 jobs added in the U.S. in December (and a cumulative net gain of 2 million jobs in 2017) and wages growing 2.5% over the year, it seems unlikely that demand will abate. However, things do look more positive regarding the supply. For November 2017, the U.S. Commerce Dept. reported that the building of single family homes was up 5.3%, the highest level since September 2007. 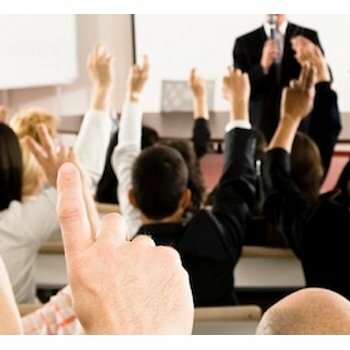 According to the U.S. Census Bureau and the U.S. Dept. of Housing and Urban Development, the December 2017 number of single family home building permits were up 2.8% from the previous year. As jobs and wages continue to increase, we can expect that the market will incentivize even more builders to increase production. It’s worth acknowledging that after that point is reached, there will be a period of some latency until supply and demand reach equilibrium. Flooring Trend: For floors heated by WarmlyYours, Luxury Vinyl Tile floors grew 47% in popularity between 2016 and 2017. Moving forward into 2018, WarmlyYours expects to see growth in several areas. One such vector is growth in sales of snow melting products due to both higher national levels of snowfall in the 2017 – 2018 winter (compared to prior year period) and the continued popularity of a WarmlyYours viral YouTube video about installing snow melting in an asphalt driveway. We also expect to see major growth in 3 major metro markets: New York; Washington, D.C.; and Los Angeles. While Zillow predicts that home prices will trend upward in 2018, the pace is much more mild than other metro markets which should allow some homebuyers to purchase homes or trade up. These are historically high-performing markets for us and already the January 2018 sales are on track for growth. Los Angeles is our frontrunner with a projected rate of change between Q4 2017 and Q1 2018 of 25%. 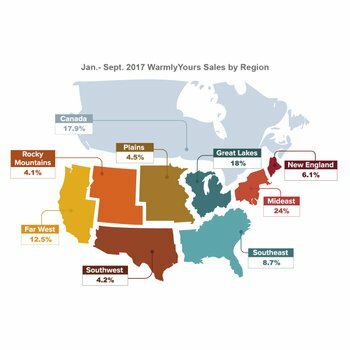 Julia Billen, president and owner of WarmlyYours, said that rising national wages (up 2.9% in January 2018 vs. January 2017) will play a key role in the growth of radiant heating sales. Previous Post How Much Does Radiant Heating Cost in a New York Kitchen?